The Army has commissioned its first two officers as part of a new direct commissioning pilot for cyber personnel. The Army recently commissioned its first two officers as part of a new pilot program to attract cyber talent from the private sector and bring them into the military ranks. As part of the pilot, mandated by Congress and stood up by the Army in late 2017, accepted applicants will enter service as first lieutenants. The Army is rolling out a new pilot program to get cyber professionals ready to serve within five months after they apply. The program is aimed at filling a critical gap the Army has identified in some niche areas such as data scientists, computer scientists, reverse engineers and development operations engineers that typically are found in the commercial sector and academia, Brig. Gen. Neil Hersey, commandant of the Army Cyber School, told reporters during a media call July 11. Hersey described an ongoing process of selection boards to bring in new direct commissioned officers. To date, there have been 249 completed applications, whittled down to 181, Hersey said. That process continued through telephone interviews and in-person interviews and those remaining, nine went to selection boards. Of those nine, two were selected a few months ago with five additional applicants to potentially enter the program, pending the rest of the screening process from last month’s selection board. 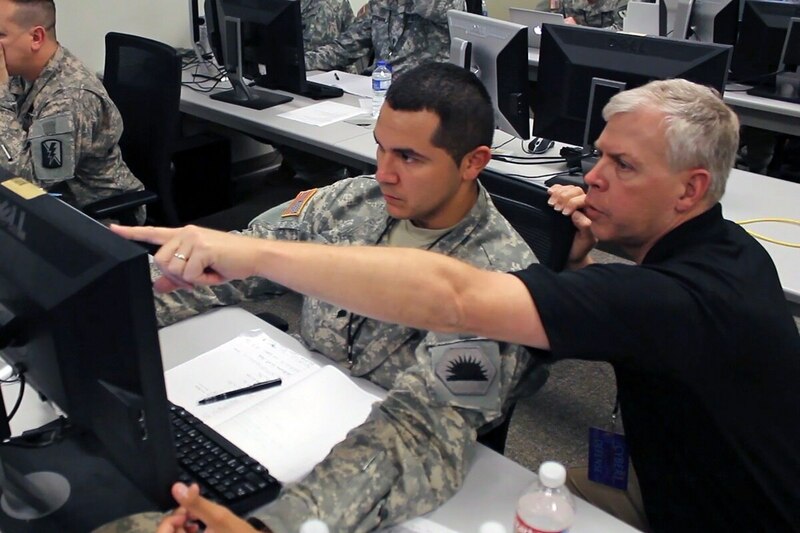 The Army, and military writ large, has been public about the need to attract, train and retain top cyber talent in a highly competitive environment with a national shortage of such talent. The military’s pitch, thus far, has been that while it can’t compete with private sector salaries, their mission can be the difference maker. “The Army specifically saw a need for Army officers to have these types of skillsets and therefore develop this direct commissioning pilot program,” he said. Hersey also noted that there is language working its way through Congress that might allow the service to direct commission at higher ranks, possibly up to the O6 or colonel level. Such a measure could help attract higher level talent given the higher pay scales and responsibility. Other services are facing similar problems. The Navy’s cyber warfare engineer (CWE) program, a highly competitive program with officers on five year rotations performing software or tool development for cyber operators has since 2011 only recruited 25 of these commissioned officers to its ranks. While the Navy has stood up a direct commissioning program for software engineers, it has only commissioned 25 officers since 2011. Current engineers have said that is not enough and expressed the need to increase the billets. The Navy has been public about lobbying Congress to allow for commissioning cyber personnel to higher ranks, up to the O6 level as well.